Having good quality makeup brushes can make a huge difference to how polished your makeup looks. As a Professional Makeup Artist I literally have hundreds of makeup brushes in my kit and by taking care of them they have lasted me years. Makeup brushes are either made of natural fibres or synthetic fibres. Natural fibre brushes are perfect for powder products as they are covered in tiny scales which are great at picking up the powder. Synthetic fibre brushes are ideal for cream products such as foundation, lipstick & concealer. I recommend you wash your brushes every 1-2 weeks as a minimum. Synthetic brushes need washing more regularly to wash off those thick creamy products. What’s the best way to wash my brushes? Wash them under a warm tap in a little bit of anti-bacterial hand wash or a gentle shampoo until the water runs clear. Importantly, you must dry them flat on a towel – don’t dry them upright as the water may rot the glue which holds the bristles in place. 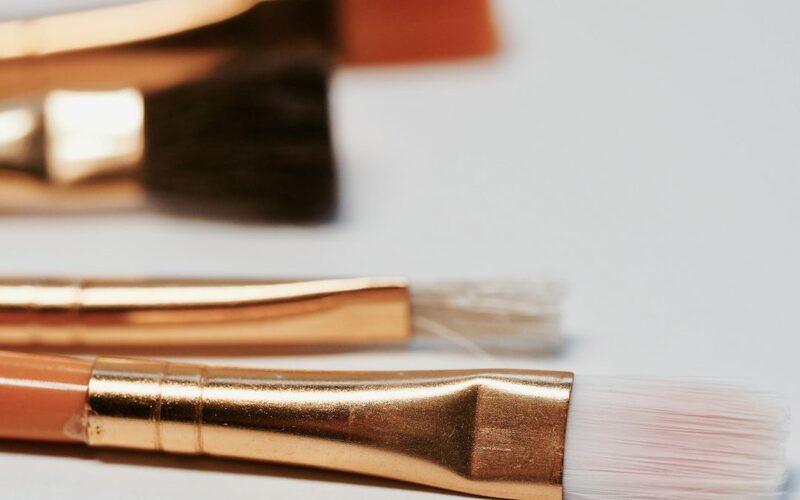 Using makeup brushes will help you be more precise with your makeup application to create a flawless, polished makeup look.